Description: MLA, 2001. Softcover. Fine Condition. 9780873527910 ~~Text in Italian~~Fine 2001 MLA paperback. Light sticker residue to front cover only. Sent Airmail at no extra cost; First edition of the work in this format and binding, and/or set or series. Text is in Italian. Quantity Available: 1. 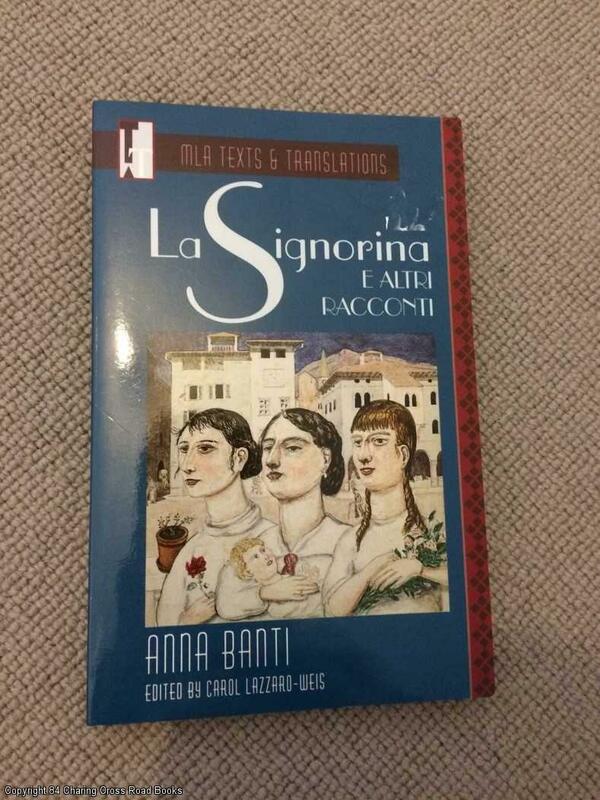 Italian Language; ISBN: 0873527917. ISBN/EAN: 9780873527910. Pictures of this item not already displayed here available upon request.